Svetlana Kim arrived in New York in 1991 speaking no English, with only a dollar in her pocket. With the help of a good Samaritan, she traveled by bus to California, hoping to connect with an acquaintance from home. Yet, when she mistakenly disembarks in San Francisco instead of Sacramento, she finds herself penniless, homeless and alone. What unfolds is a miraculous story of survival as Svetlana encounters kind strangers as she struggles to cobble together a meager existence working as a cleaning lady. Determined to succeed, she lands a job selling cosmetics. Within a few years, her hard work carries her up the corporate ladder. She earns American citizenship after living ten years as a political refugee, and pursues the opportunity to fulfill her dreams and great opportunities ultimately becoming an awarding winning author of White Pearl and I and radio show host! In honor of Svetlana and the anniversary of there incredible journey to America we are sharing our 10 segment interview we conducted with Svetlana. Each segment is short so you can capture the interview as you are able to set aside time to listen to her amazing story. You can learn more about Svetlana Kim here! Harmony Crew Seeking Top Area Businesses for Important Survey! ≈ Comments Off on Harmony Crew Seeking Top Area Businesses for Important Survey! A good friend of ours, Kathy Cox, Crew Chief at Harmony Crew is conducting an important survey of top area business leaders and we thought you might be interested in participating. The survey is focusing on companies in this area with at least 50 employees. Participants include all senior management positions. Her company, Harmony Crew, helps clients evolve and align their leadership approach, organizational culture and sub-cultures, and brand perceptions in this very disruptive and changing business environment. Major research organizations have recently conducted national and global studies around employee engagement and culture. The findings are eye opening. Harmony Crew is conducting a qualitative study with a smaller group of select firms to see if the results align, and to ascertain some of the ‘why’s’ behind these findings. Of course, they will keep your comments completely confidential. Your responses will be aggregated with other companies and expect to publish the report within six months. Of course, as a participant you will receive a copy! They have asked us for referrals and knowing the power of our community we wanted to share this opportunity with you. If you are agreeable, they would like to schedule an hour and a half in-person meeting at your convenience to conduct the survey interview. Or, if you prefer they could interview someone else on your management team. They are well aware that an hour and a half meeting is a significant amount of time and promise to make good use of it. The interview will not exceed that, and may even take slightly less time. You can reply directly to Kathy.cox@harmonycrew.com or she can be reached at 703-980-1757. I recently met with two exceptionally successful businesswomen, hoping to get to know them and, perhaps, form mutually-beneficial relationships. But both conversations left me feeling irritated and wondering how to get close to these seemingly inaccessible women. When I was introduced to Laura, author of Big Butts, Fat Thighs, and Other Secrets to Success, I was excited about meeting a fellow author with an impressive track record and connections. I asked why we should wait to start helping each other, and she explained, “You’re young. I’ve been in the business world since before you were even alive.” She then told me how hard she had to work to land the biggest contract of her career. Then, I met with Jamie, who has been hugely successful in both the financial-services industry and non-profit world. Our conversation started off great. We talked about our lives, families and careers. I listened intently while she spoke of the non-profit organizations near and dear to her heart, thinking she would probably help me with one I’m considering starting. Again, I suggested becoming friends and looking for ways to support each other. And again, I got a less-than-encouraging response. I was baffled. So, I did what I usually do when I don’t understand where more “seasoned” professional women are coming from; I called my friend and mentor, Cynthia de Lorenzi, founder and CEO of Success in the City. That made perfect sense. When I said, “I’d like to be your friend,” I was making it about me, indicating that I wanted something from them. Had I said, “Your stories are so fascinating and valuable. I would like to learn more about you,” it would have been about them. When we focus on learning about others, we build relationships in a natural, authentic way. And when they begin to trust and care about us, the rest takes care of itself. According to the International Listening Association, more than 35 studies indicate that listening is a top skill needed for success in business. And it’s no wonder. Business is about connecting with other people, so unless you’re willing to listen, you won’t have anyone who cares enough to help you succeed. 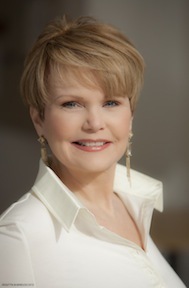 Misti Burmeister, best-selling author of From Boomers to Bloggers: Success Strategies Across Generations and Hidden Heroes. Are you eager and anxious to get your team even more inspired, passionate and creative? talent. Unfortunately, no matter how judicious the process in hiring is put in place not all employees, no matter how good they look on paper or in the interview process, quite fit the bill, and somehow one of those unsuitable matches will manage to find their way onto your teams. them, in the fastest time, and with the least effort? That’s exactly what an incredibly talented panel, assembled by HeliosHR, will be discussing on August 30th 7:30 – 9:30am. Wanda Alexis Alexander, President and CEO of Horizon Consulting Inc. – Ms. Alexander’s insight to pursue contracts in the cities where HUD had offices resulted in the growth that earned Horizon the #312 spot on the Inc. 500 List of Fastest-Growing Private Companies in America. 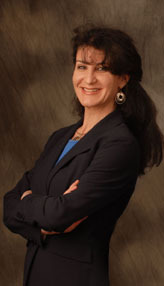 Bridget Bean, Director of the Washington Metropolitan District Office for the U.S. Small Business Administration (SBA) – Ms. Bean’s experience in the areas of Small Business Advocacy, Government Contracting and Procurement, and Entrepreneurial Development Assistance, will have particular benefit for the more than 1,700 local firms that currently participate in the SBA’s 8(a) Business Development program through the District Office. Misti Burmeister, CEO and Founder of Inspirion – Ms. Burmeister speaks, coaches and facilitates for some of the world’s most prestigious corporations – including Johnson & Johnson, AT&T, NASA and Marriott. She is the best-selling author of From Boomers to Bloggers: Success Strategies Across Generations, in which she outlines systematic ways organizations can eliminate inter-generational distractions to spark collaboration. Jay Greenstein, CEO, Sport and Spine Rehab – Dr. Greenstein believes strongly in patient education and empowering patients to improve the quality of their lives, because patients who know more about their conditions, stay healthier. Sport and Spine Rehab was the first multi-location practice in the US that has been recognized by the National Committee on Quality Assurance in their Back Pain Recognition Program. Breakfast, fun and engaging panel discussion and inspiration – there simply isn’t a better way to start any day. Join us on August 30th from 7:30 – 9:30am. Breakfast will be served. your ticket today! I’ll see you there! You can learn more and register here!